City favors contract extension with company that missed $US 1 million payment deadline. 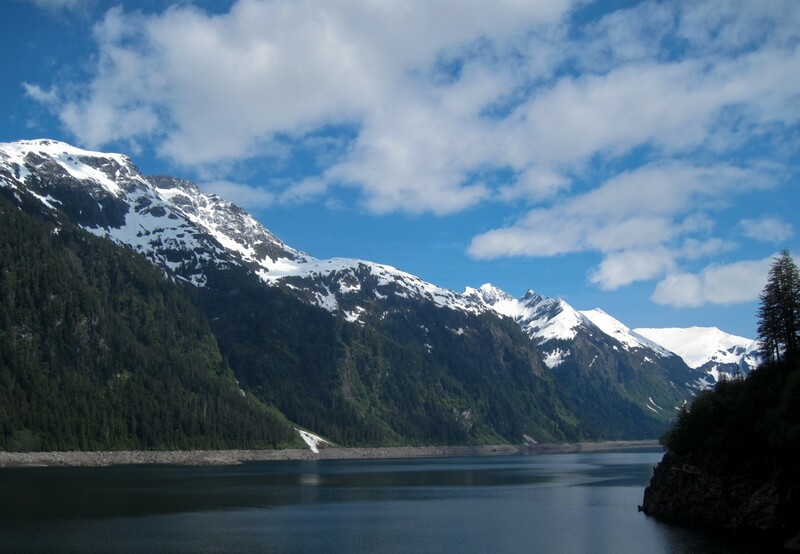 The Alaska Department of Natural Resources granted the city of Sitka a permit to export more than 9 billion gallons of water per year from Blue Lake. Alaska Bulk Water Inc. has a contract with the city for most of the rights. Click image to enlarge. Alaska Bulk Water Inc., the company with exclusive rights to export 8.7 billion gallons (27,007 acre-feet) of water from Sitka’s Blue Lake, missed a December 8 deadline to pay the city $US 1 million, which was required under its contract. After a 45-day grace period expired in late January, the company still has not made the payment. Sitka municipal administrator Mark Gorman told Circle of Blue that the city is reviewing its options. Terry Trapp, CEO of Alaska Bulk Water Inc., told Circle of Blue that the company will get the money “as quickly as possible to Sitka” by tapping into “one of the other companies that we own.” He would not elaborate. The attempt to pioneer bulk water sales from Alaska in tanker ships, talked about for decades without success, will not be easy. Yet despite the missed deadlines, exports moved closer to reality in 2015 than ever before. Alaska Bulk Water Inc. (ABWI) spent $US 1.5 million to build a floating pipeline and an offshore loading facility in Sitka’s Silver Bay. On top of that, ABWI has already paid Sitka $US 1.35 million in non-refundable down payments. If the company begins selling water, the money is a credit. If no water is exported, Sitka keeps the money. Though they are closer, regular bulk water shipments are probably not imminent. There are two primary obstacles. One is cost. Sitka is charging one penny per gallon for its water ($US 3,258 per acre-foot), which is significantly more than the cost of tap water. That does not take into account the expense of chartering and operating a tanker. For this reason, Trapp said that he is in talks with commercial customers who put a premium on the water. He mentioned a beer bottler and a petroleum company in Mexico, but would not disclose names. Second is infrastructure. ABWI built the loading facilities in Sitka this summer, but similar structures are not usually available on the receiving end. A city or business would need pipes to unload the tanker and a storage facility to hold the water. Still, interest in Sitka’s product remains strong. Garry White, the director of Gary Paxton Industrial Park, which oversees the city’s bulk water facilities, told Circle of Blue that a number of groups have inquired about additional export contracts. ABWI’s contract gives it exclusive bulk export rights for Blue Lake. On October 1, for instance, Sitka hosted representatives from the Amel Group, an investment firm based in Ontario, Canada. Sitka’s water also caught the eye of U.S. Rep. Janice Hahn, whose state is mired in a long drought. On October 5, the California congresswoman hosted a meeting with water districts and port officials in the Los Angeles area to learn about ABWI’s enterprise. Interest is strong enough that Sitka is looking to increase its export rights. On December 8, the city assembly voted to pursue bulk water export permits for water from Green Lake, a reservoir southeast of downtown. Green Lake, a hydropower facility built on the Vodopad River, began operation in 1979. Permits would come from the Alaska Department of Natural Resources, which will assess whether surplus water is available. Sitka is repeating a process it began nearly two decades ago, after the Alaska Legislature authorized bulk water exports in 1992. Sitka received the state’s first export permit in September 1996. Ten years later, on November 9, 2006, Sitka entered into a bulk water export agreement with True Alaska Bottling, a forerunner of ABWI. States and provinces surrounding the Great Lakes have since moved to block the export of water outside of the basin, but Alaska remains committed to the idea of export. Though no water has yet been shipped, Gorman said that he foresees ABWI as a long-term partner. As for the future, Gorman’s outlook is much the same as his forebears in Sitka’s government who have championed bulk water sales for more than two decades. He feels as if water exports are a matter of time.